Located in Cairo (Downtown Cairo), Capital Hotel is within a 10-minute drive of Egyptian Museum and Coptic Museum. This hotel is 1 mi (1.7 km) from Museum of Islamic Art and 1.7 mi (2.7 km) from Khan el-Khalili. 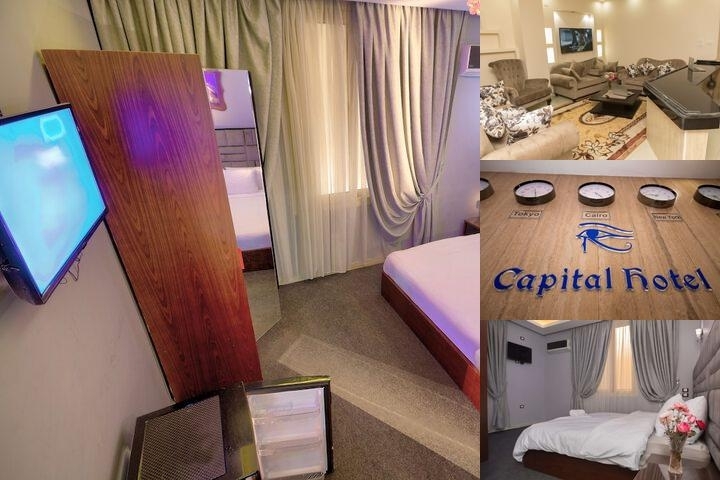 Capital Hotel Located in the heart of Cairo, 5 minutes walking to Tahrir Square and the Egyptian museum, Such tourist places as an opera and a the museum are fairly close by. a lot of restaurants is surrounding by, Estoril and Koshary Abou Tarek are about 100 meters away. Local Shuttle Info: . A shuttle from the airport to the hotel is provided for a surcharge (available 24 hours). A complimentary continental breakfast is served daily from 8:00 AM to 11:00 AM.